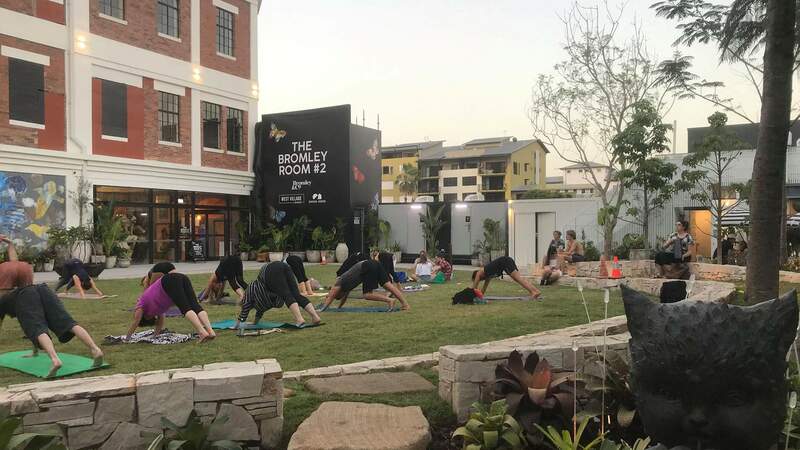 Bend and stretch for free at West End's newest green space. Are you an early bird who likes to get flexible to start the day? A night owl who loves spending the twilight hours bending and stretching? Whichever category you fall into, do you like getting active for free — all within West End's latest greenery-filled precinct? With West Village now well and truly open, the new space is hosting twice-weekly exercise sessions in its central area, aka The Common. Run by the folks at Goodlife Health Clubs, the classes are open to everyone, whether you live in the neighbourhood or you're dropping by on your way to or from work. And yes, if you want to go to both each week, that's perfectly understandable. Get up with the sunlight on Mondays to catch a pilates session, which kick off at 6am — or head by at 6pm on Wednesdays to bliss out over yoga. The current batch of classes run from Monday, February 4 until Wednesday, March 27.